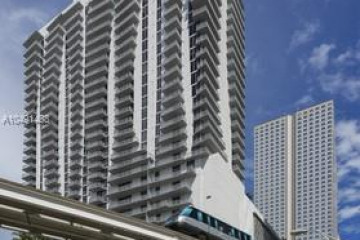 Met 3 is about to redefine the luxury condominium experience in Downtown Miami. After its completion, this promises to be the tallest condo and will help to set the standard for the new century. Having 600 units, all being individually tailored, Met 3 offers an amazing array of condo choices from studios to suites and penthouses, all ready to take advantage of the breezes of Biscayne Bay and the spectacular views of city, bay and ocean. While wide ranging entertainment venues and recognized restaurants will be a staple of the ground level plaza, Met 3 will augment these offerings on the Lanai level and the rooftop terrace. For your recreational needs, the pool, the cardio and free weights room, yoga and aerobics studio are all available for use. You can even go relax poolside, in the outdoor whirlpools, in the sauna or in the garden.